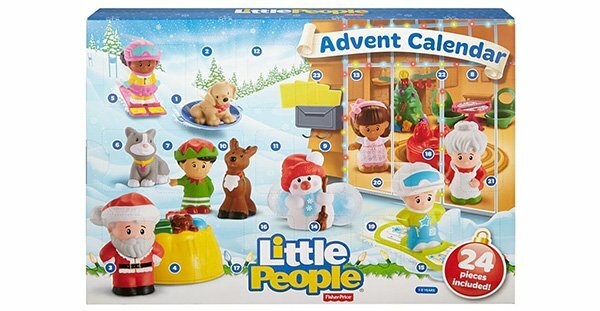 When I was a kid back in the 80s, Advent calendars were thin cardboard boxes with 24 chalky chocolates in a plastic tray, one hidden behind each perforated cardboard window. Hubby’s old Advent calendars didn’t even have the chocolates – just pictures behind the window. How sad! But Advent calendars sure have changed since then. Nowadays they come in an almost endless variety of themes and activities. 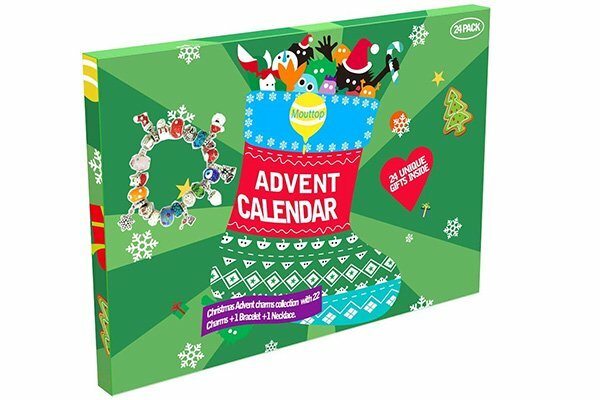 Advent calendars have become presents in their own right and a fun way to celebrate the whole month of December. 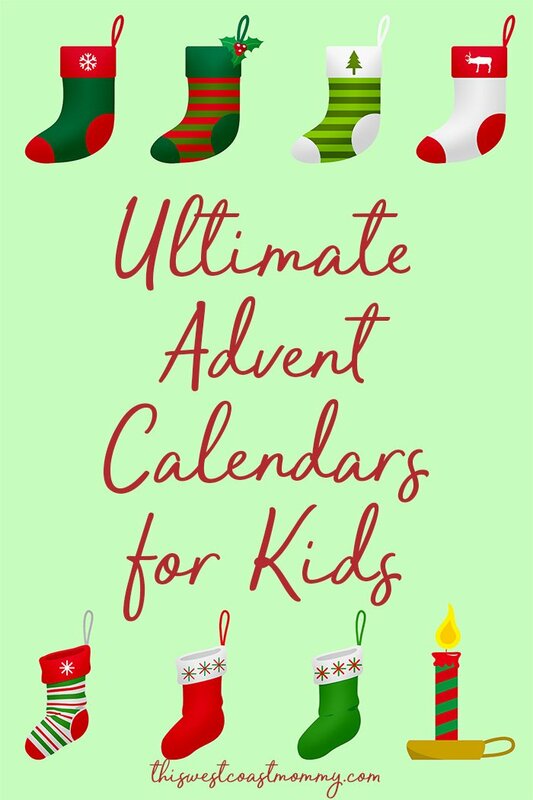 Here are 20+ of the best Advent calendars for kids this year, filled with toys, crafts, and treats. 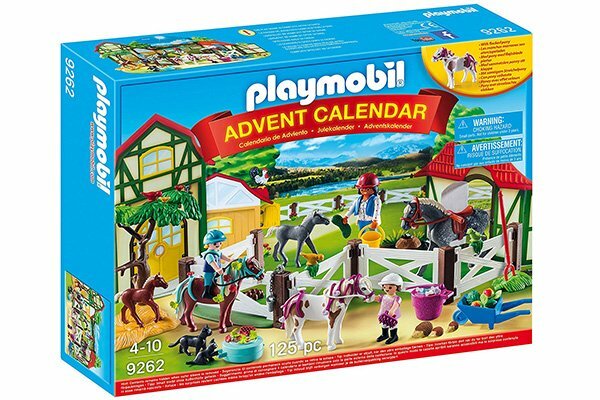 Playmobil makes beautiful Advent Calendars with mini figurines and accessories the kids can collect over the month to create a magical pretend world. These are the exact same quality and detail as the standard Playmobil sets, and each calendar comes bundled with a full colour, foldout cardboard backdrop to place the figures in. 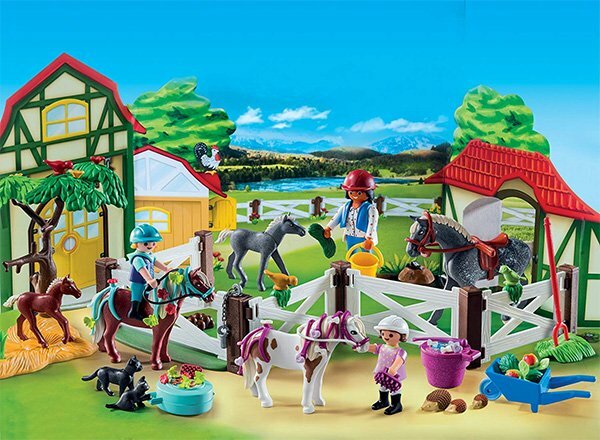 The Horse Farm Calendar is new this year and comes with 5 horses, 3 figures, a mama cat and kitten, plus lots of detailed accessories to bring this horse farm to life. 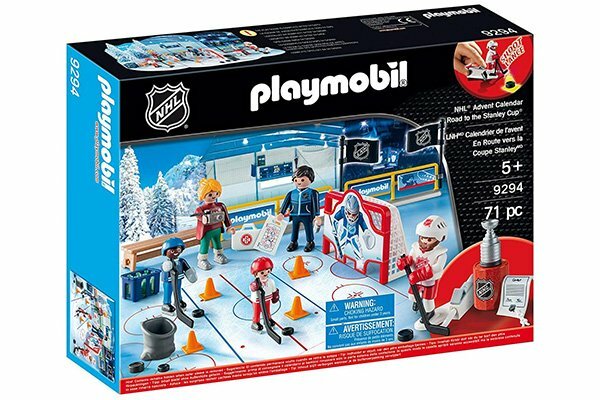 Also new this year, Playmobil’s NHL-themed calendar comes with 5 figures (3 adults, 2 children), NHL flags, practice goal, bench, cones, and even a Stanley Cup replica! Comes with an foldout ice rink backdrop and all the accessories your hockey fan needs to experience the journey from young child hockey fan to NHL Superstar. 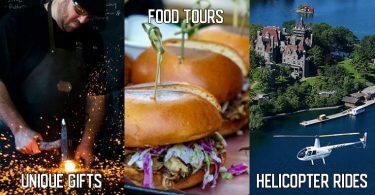 The Royal Ice Skating Trip calendar isn’t actually a new release, but we love this theme so much we had to include it in our list. 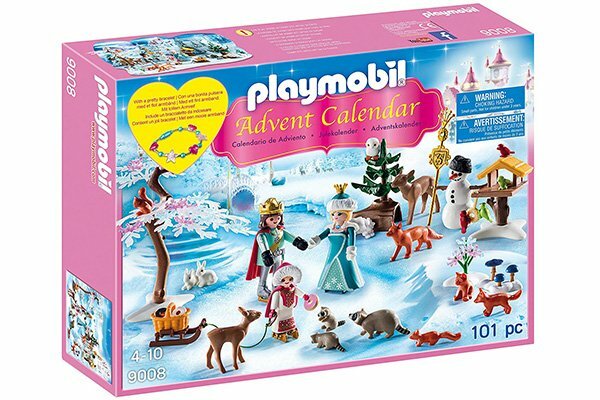 This calendar comes with a king, queen, and princess, plus a snowman and various woodland animals. As an added bonus, behind one of the doors is a gorgeous bracelet, perfectly sized for kids to wear! 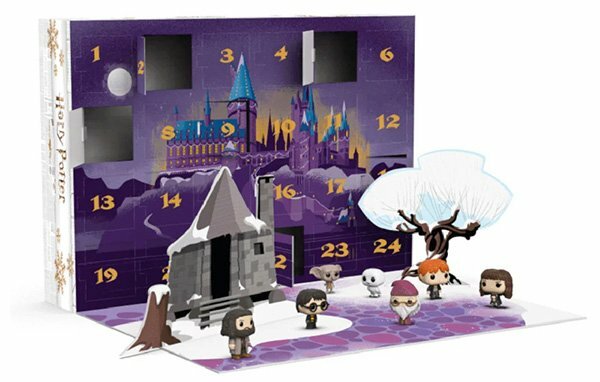 Funko Pop’s Harry Potter Advent Calendar has everyone, including us, eagerly anticipating its release! Featuring the Wizarding World’s favorite witches, wizards, beasts, ghosts and house elves, this Harry Potter Advent calendar promises a magical Christmas indeed, with Harry Potter, Hermione Granger with a time turner, Ron Weasley, and more. Pre-order on Amazon.com and coming soon at Funko. 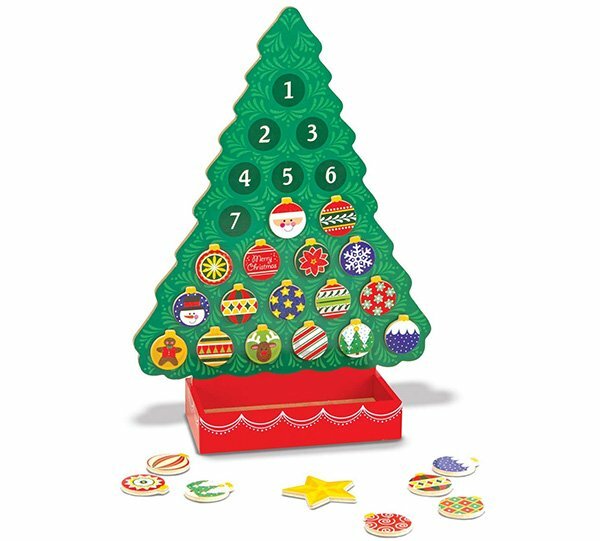 Melissa & Doug’s magnetic wooden tree calendar comes with 24 magnetic ornaments and a star for the top of the tree. Keep all the pieces together in the included wooden box so you can use this calendar year after year to count down the month of December. 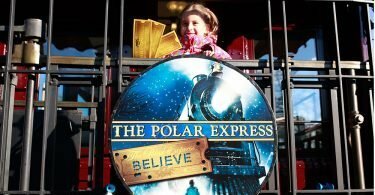 The kids can count down to Santa’s arrival by making festive holiday DIY keepsakes, crafts, and activities like Crayola Model Magic ornaments, finger puppets, paper ornaments, gift boxes, and lots of colouring projects. This Advent calendar is all about the bling! Includes a necklace, bracelet, 7 Pandora-style beads, 9 smaller beads, and 6 dangling charms. All jewelry is made from hypoallergenic alloy metal free from nickel, lead, cadmium and plated in white gold. 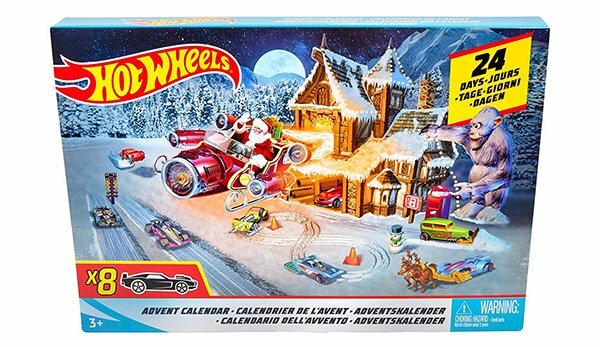 Hot Wheels fans will love this Advent calendar containing eight decorated Hot Wheels vehicles and sixteen accessories. The box includes a foldout playmat that the kids can drive their new Hot Wheels vehicles on! 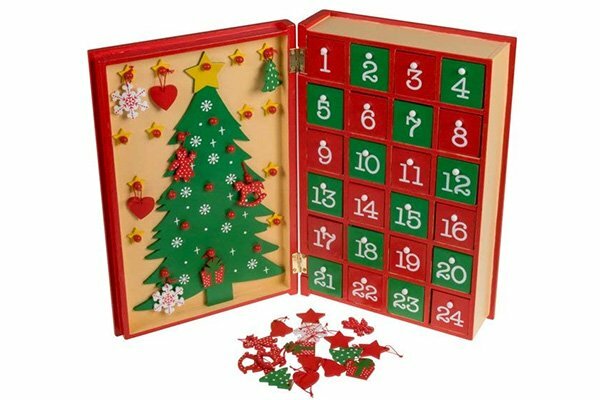 This sturdy wooden advent calendar is designed to look like a book with a festive Christmas tree on the cover. Open the “book” to find 24 drawers containing small wooden ornaments to hang on the tree as the month passes. Reuse this calendar by adding small candies, toys, or messages in the drawers next year! Into the Disney Tsum Tsum craze? 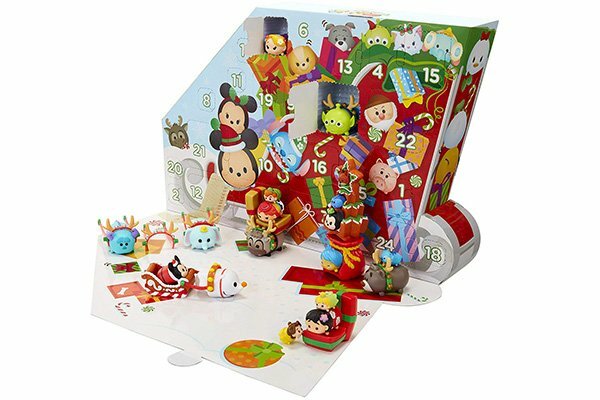 This Advent calendar includes 18 stackable Tsum Tsum figures (6 large, 6 medium, and 6 small) dressed in their holiday best, along with 6 holiday-themed accessories and 6 seasonal head pieces. This two-sided Advent calendar features everyone’s favourite pig! 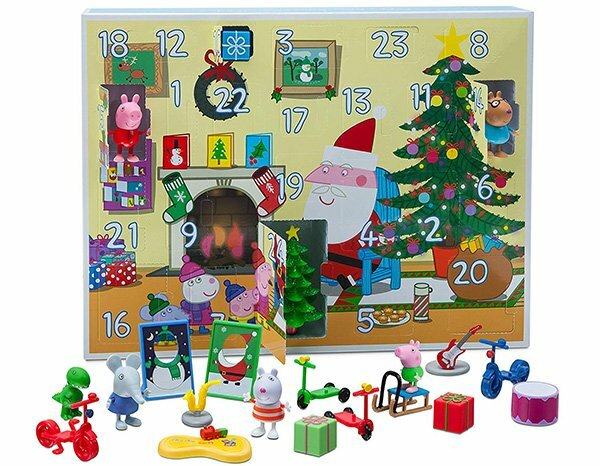 Contains 24 Peppa Pig Christmas-themed surprise gifts including 5 characters, toys, wrapped presents, and a Christmas tree. “Whenever you’re in trouble, just yelp for help!” Join Marshall, Rubble, Chase, Rocky, Zuma, and Skye as they count down to Christmas. 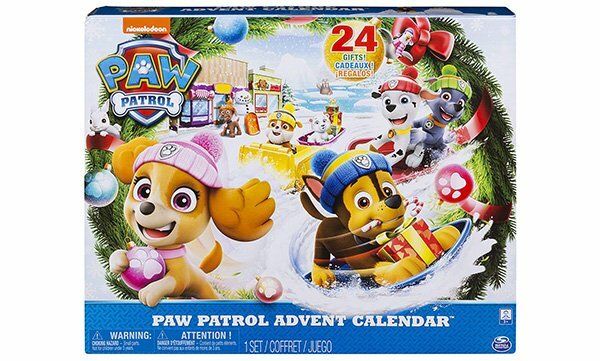 Behind each door is a tiny, holiday-themed collectible your little Paw Patrol fans will love! 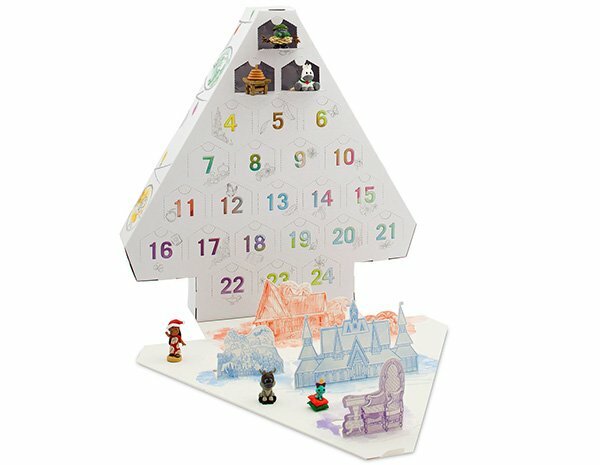 This tree-shaped Disney Advent calendar includes 24 Disney Animators’ Collection Littles inspired by Tangled, Frozen, and Lilo & Stitch. The cover of the box folds down and pops up to create a simple display for their collection of characters. Little ones will love opening a new door each day to find a Little People friend or fun, holiday-themed accessory! By December 24th, they’ll have a whole new set of holiday toys to “make merry” with! You can even use this calendar to practice numbers and counting skills with your toddler! 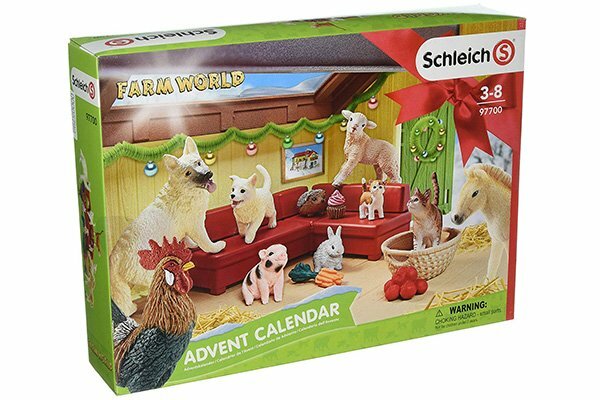 Schleich makes Advent calendars too, including this farm-themed one that your little animal lover will love. Detailed Schleich figurines and accessories are concealed behind 24 little doors for a new surprise every day! 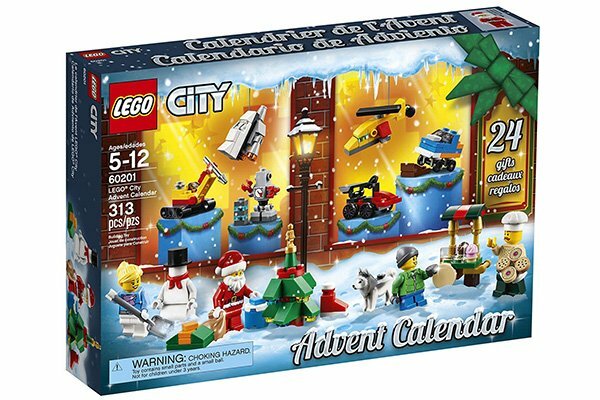 LEGO releases 3 new Advent Calendars every year. The LEGO City version includes 313 pieces to create a drone, space ship toy, race car toy, monster truck, husky dog figure, and 5 minifigs including a snowman, robot, and Santa Claus. 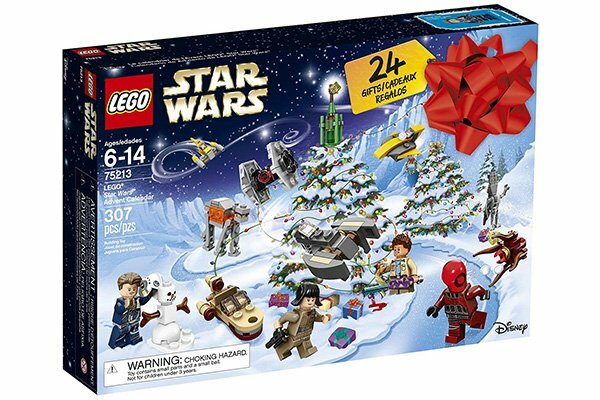 The latest LEGO Star Wars Advent calendar contains 307 pieces to make 3 figures, buildable mini models like a tie fighter and AT-ACT, and 5 Star Wars minifigures. Kids can display and play with the figures on the included festive foldout play mat. This year’s LEGO Friends Advent calendar contains 500 pieces. 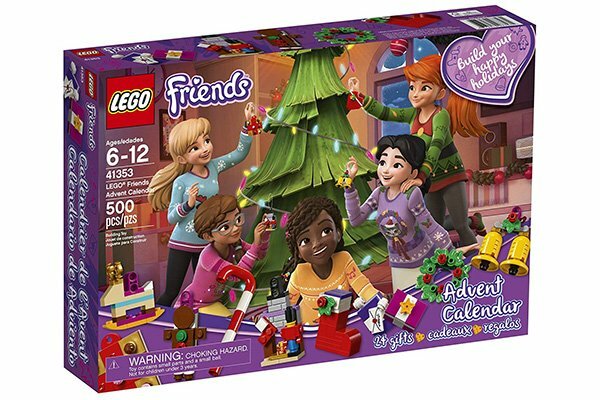 Kids can build and collect 24 LEGO Friends gifts and festive accessories as they count down to Christmas! 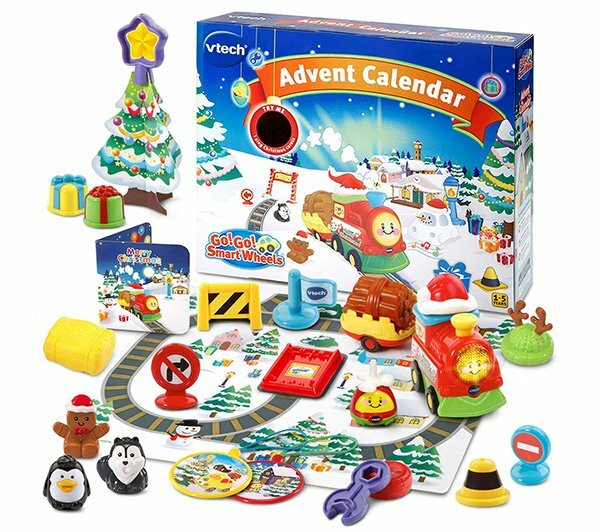 Roll the SmartPoint train over the two SmartPoint locations included in this VTech Advent calendar to hear fun sounds, phrases and melodies. Includes one Smart point Christmas Train, two ornaments, one helicopter spinning top, one Christmas card, road signs, and more. This is the perfect Advent calendar for squishy fans! They’ll love finding a unique mochi squishy toy every day, including an exclusive Santa mochi squishy. Made from non-toxic, soft, washable silicone. 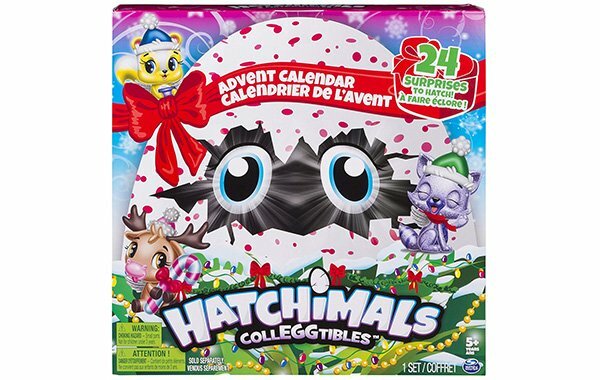 This Hatchimals Advent calendar comes with 10 exclusive characters both in-egg and out-of-egg. Kids will find paper craft decorations, small presents, stickers, and accessories to keep their Hatchimals cozy in their sparkly nests. Or if none of these grab your imagination, add your own small surprises to a reusable wooden Advent calendar. 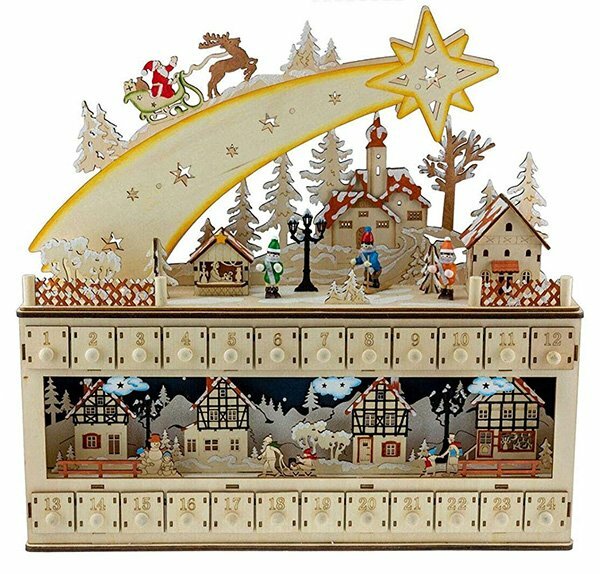 This calendar shows Santa visiting a quaint snowy village and contains 24 little numbered drawers. It even lights up! It would be hard to choose they’re all cute, but one of my favorites is the Shooting Star Snowy Village. Love these advent calendars! Too bad though that some of them are hard to find in stock if you don’t shop early enough. 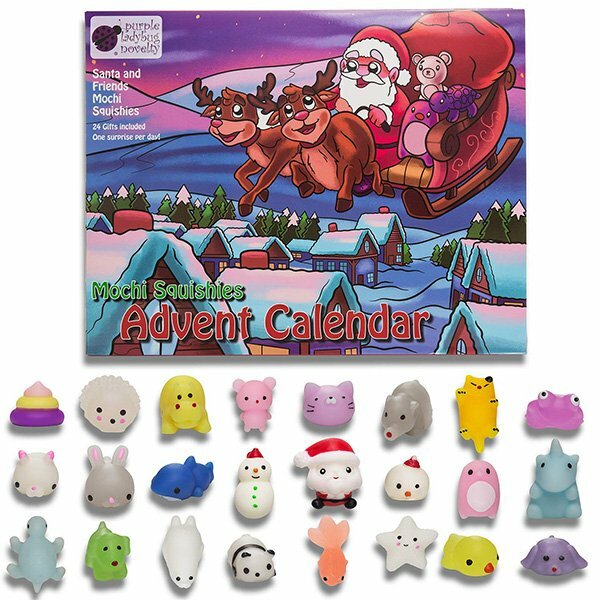 I love all of these advent calendars and so much more fun and better then getting a tiny piece of waxy chocolate, and there is that special one for everyone! 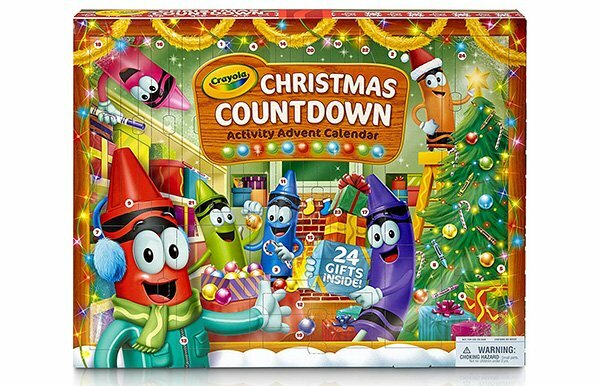 They make so many advent calendars now, when I was a kid there was just a picture behind each door. Advent calendars are always a hit in our home with everyone getting a different one,we wrapped them and it’s the luck of the draw !